What we have been doing lately. 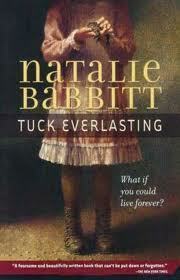 Well in clas we have still been reading the book Tuck Everlasting so thats been fun. Also we have been reading our book club book im reading the book THE DANGEOSE DAYS OF DANIEL X BY JAMES PATTERSON!!!!!!! examlpe she will stand on a stool and teach!! In class we have been reading the kids book Tuck Everlasting.